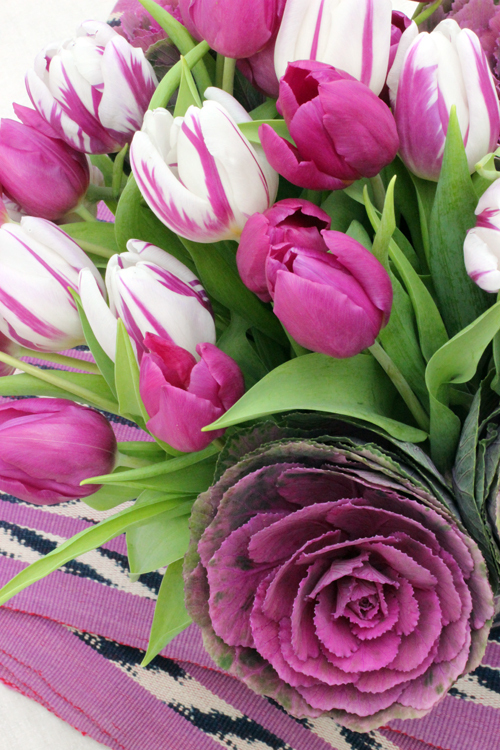 'A Bunch for the Weekend' - this week is a combination of big bright Ornamental Cabbage and two very different and even brighter tulips. 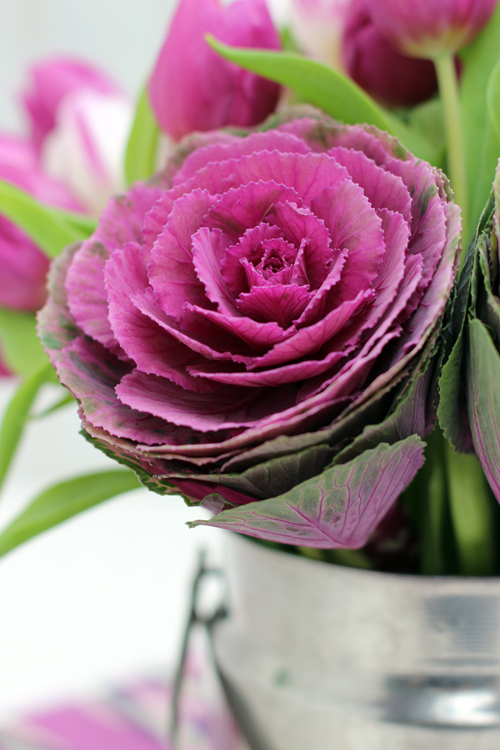 - 5 stems of Ornamental Cabbage - with large firm and colourful flower heads. 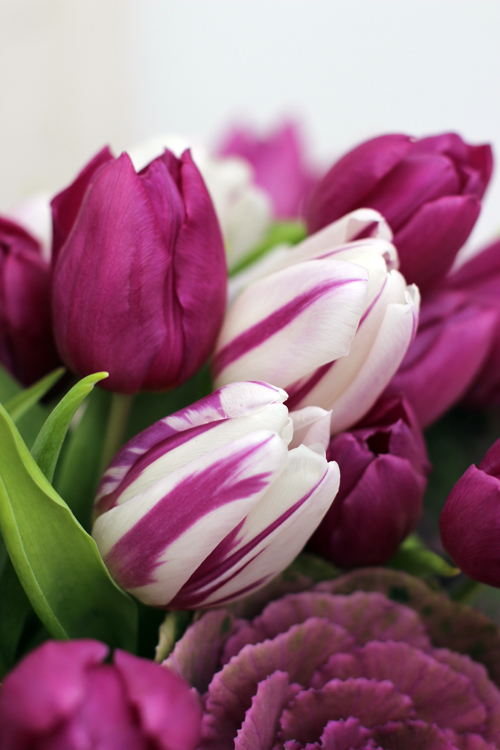 - 30 stems of two contrasting Tulips - a generous amount to give some impact and contrast in texture next to the large and compact Ornamental Cabbages. 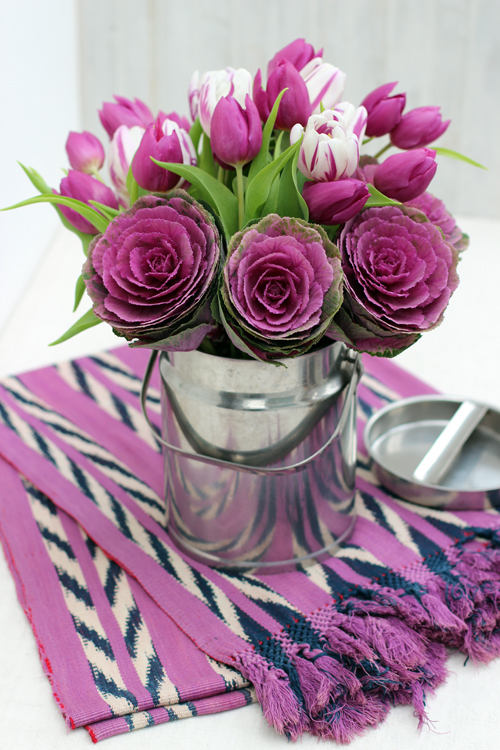 - a wide but fairly low vase or container - in this case I have used a vintage stainless steel milk pail. - the only prop this time is vintage Mexican shawl that is picking up the colours in the flowers. 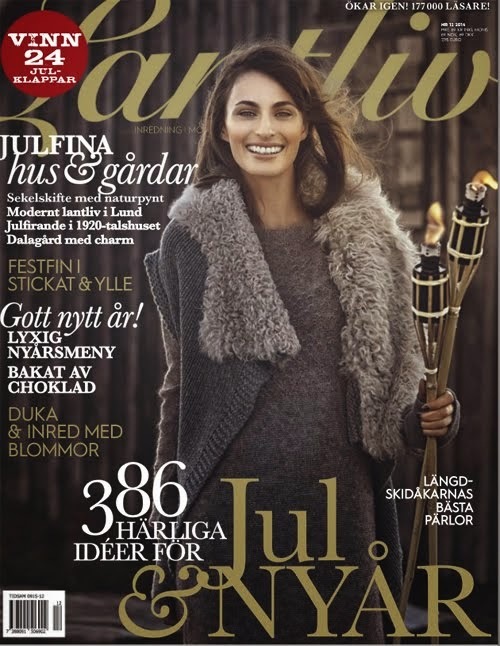 I often use this shawl as a vibrant and colourful tablecloth. Cut the stems at a sharp angle - this is to increase water absorption. - Start with the large heads of Ornamental Cabbage - remove any damaged leaves and cut the stems so that the flower heads sit just above the edge of the container. - Then do the tulips - I have kept as many leaves as possible as I'm not adding any extra foliage. I wanted to keep the arrangement low and compact - so measure the tulip stems against the side of the container and cut them long enough to sit just above the large flower heads of the cabbage. - Change the water every 2-3 days and if possible re-cut the stems. The tulips will last for about a week - the cabbages will last much longer. Once the tulips have finished flowering - keep the cabbages on their own in a vase - but remember to change the water frequently - the water can become a bit smelly! Ornamental cabbages are still available here in the UK and you can find them in a few different colours. This is an arrangement that doesn't need any additional foliage - the tulip leaves provides more then plenty of greenery. Tulip season is truly here and I'm delighted! I'll be back on Sunday with 'Florets' and another floral quote from someone passionate about flowers.